ioShield-L | WIZnet Co., Ltd.
ioShield-L is an Ethernet BoosterPack for MSP430 LaunchPad development board(MSP-EXP430G2, TI). 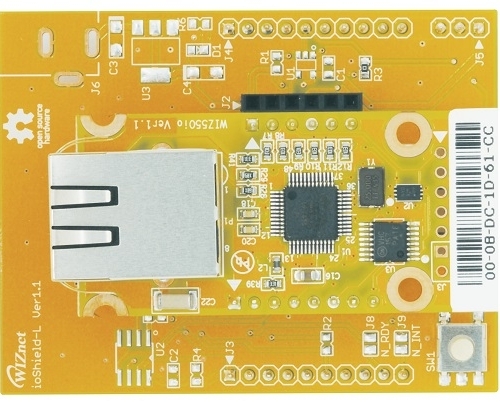 The ioShield-L allows a MSP430 LaunchPad board to connect to the internet. 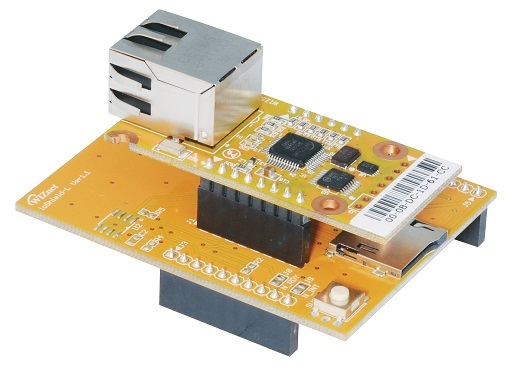 It consists of WIZ550io for ethernet connectivity and an interface board to LaunchPad. The MSP-EXP430G2, low-cost experimenter board called LaunchPad is a complete development solution for the Texas Instruments MSP430G2xx Value Line series. 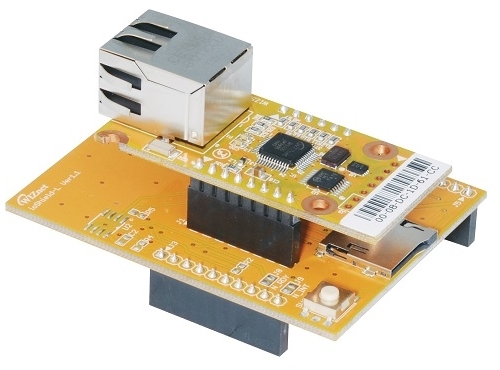 The integrated USB-based emulator offers all the hardware and software necessary to develop applications for all MSP430G2xx series devices. For more details, please refer to MSP430 LaunchPad page in TI official website. The MSP-EXP430G2 can be used with IAR Embedded Workbench™ Integrated Development. Environment (IDE), Code Composer Studio™(CCS) IDE or Energia (open-source electronics prototyping platform based on the Wiring and Arduino framework) to write, download, and debug applications.